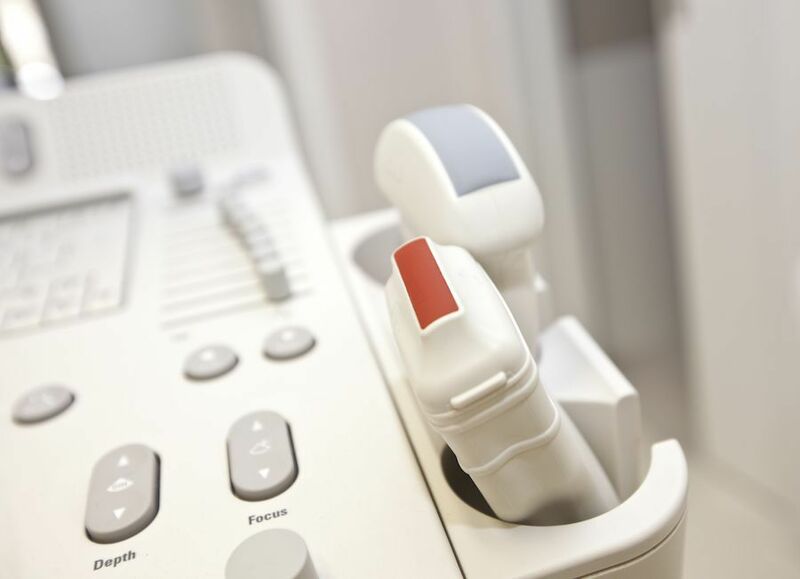 Ultrasound Diagnostics: Safe Test, Accurate Diagnosis Frequent Questions | Podiatry Associates, P.C. What types of injuries can be seen in an ultrasound? Ultrasound is a valuable form of diagnostic test that lets specialists like our team at Podiatry Associates, P.C. see soft tissue damage in your lower limbs. This is extremely helpful since these types of injuries aren’t really visible on an X-ray image. Ultra-sonic sound waves reflect back pictures of tendon and ligament tears, soft tissue lumps and bumps, and even nerve damage like Morton’s neuroma. It’s common for foreign bodies to appear in these diagnostic images. It may show bursitis and capsulitis in the joints as well. It can even evaluate the severity of plantar fasciitis and help guide direct injections of medication. In some cases it’s used to help plan out surgical procedures. Ultimately, ultrasound can be used for a lot of things related to soft tissues. If you’re struggling with an injury that isn’t showing up on X-rays, you might have better luck with an ultrasound evaluation. Let our team of experts at Castle Pines Physical Therapy help you today. Request a consultation online, or call in to our Castle Pines office or associated location, Cherry Creek in Denver, CO at (303) 805-5156. How does diagnostic ultrasound for the feet work? Diagnostic ultrasound for foot conditions is done in a similar way to ultrasounds for monitoring pregnancies or for identifying gall bladder stones. It bounces high-frequency sounds waves off your soft tissues, creating a picture from the reflected waves. The whole process is simple and takes place in the office. One of our specialists will apply special gel to your foot to help the sound waves transmit smoothly. Then we will touch the probe to your skin and manipulate it so it “sees” the whole area being tested. The waves pass through the skin and bounce off the soft tissues at different times. The probe then receives these reflected sound waves and translates them into a picture that we are able to “read” on a monitor. This is particularly useful for torn connective tissues, tumors, swollen nerves, and thickening in places like the plantar fascia, since these issues are hard to see on other images, like X-rays. Let us help you by accurately diagnosing your foot condition. Call (303) 805-5156 or make an appointment online to visit our Castle Pines, Parker, or Cherry Creek, CO office.